Weeks earlier, in that idealistic planning haze, I had intended to get up early and sneak in a short run around Riverside. Although part of me regrets the omission, I'm not entirely surprised I elected to sleep instead. And so I woke up at the usual time, prepped to go out, roused Pat, and sadly packed up the last of my things as he did the same. We checked our airline luggage and dropped off our carry on bags at bell services before boarding a very crowded bus to Epcot. Our first FastPass for the day was for Soarin', so we knocked that out before stopping in at the Fountain View Starbucks for coffee and rice krispie treats. Next up in the FP queue was Mission Space, which may be Pat's favorite experience in WDW. Or maybe he just really likes Gary Sinise. Senior officers, meet me in my ready room. Post Orange Team training, Pat wanted to check out the Living Seas, so I led us into the Nemo dark ride line. "Isn't there a back way in?" he said. "Yes, but this way we get to ride a ride!" I replied, because dark rides have ever been and will ever be my JAM. Admittedly the Nemo dark ride isn't exactly a classic, but it's still cute. 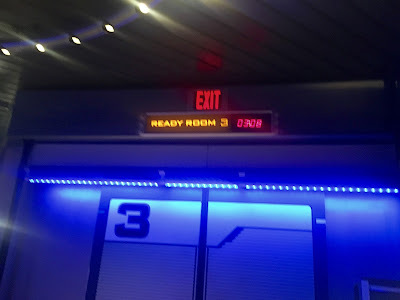 Not that I paid much attention this go-round, because I suddenly discovered I'd pulled a boneheaded move: for some reason I had thought our last FP was for Test Track, when it was in fact for Spaceship Earth. If I'd taken half a second to think about it this would've been obvious, as everyone knows you can't have a Soarin' FP and a Test Track FP at the same time. Idiot. 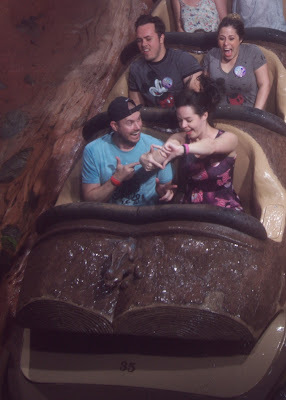 I apologized to Pat for the oversight while frantically cancelling what we had and refreshing MDE through half the experience, trying to fix my gaffe, until Pat gently reassured me he'd really rather ride Splash Mountain one more time instead. Luckily I was able to snag an FP for that without too much trouble, and we spent a relaxing half hour or so wandering around the Living Seas aquariums before picking up the monorail series to the Magic Kingdom. Weirdly, I never got my bag searched...? 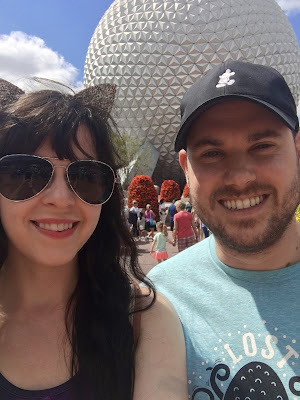 Do-it-your-selfie because we couldn't find a PhotoPass photographer. On our way up Main Street I had to try one more time: I stopped in at the Emporium and asked after that Mr. Toad hat. The CM tried her darnedest to find it for me but no dice. :( Great customer service, though! But first: a snack! We grabbed some nachos from Pecos Bill's, where I gleefully indulged in the toppings bar with its FREE GUAC I CAN'T BELIEVE THEY OFFER FREE GUAC TRULY DISNEY IS MAGIC!!! And then we got more waffle fries from Golden Oak Outpost, which were as delicious as ever but I didn't notice until I got home that I was charged for a full nugget meal. Boo. Ah well; it's not like Disney doesn't take most of my money anyway. I'd used my time in line at Mountain, Splash to pick up a FastPass for Mountain, Space, so we headed there next. We thought the Splash FP line was long - well, the Space FP line was RIDICULOUS. It took us a good 25 minutes to work through it. I can only assume they all but halted the standby line to let us all through. At least I used the time wisely, picking up a Haunted Mansion FP while I waited. We powerwalked through Fantasyland into Liberty Square and communed with Madame Leota. On our way out we stopped for pictures with a PhotoPass photographer, and they turned out so accidentally hilarious that I'm going to save them for their own dedicated post. Still reeling from the loss of my Toad hat (no I will NOT shut up about that), I decided to indulge in some retail therapy over my botched retail therapy. Memento Mori had a super cute Haunted Mansion print tank, and it came home with me. 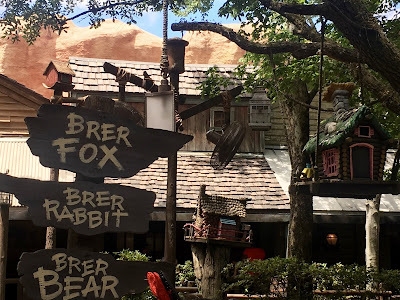 Pat had expressed an interest in knocking out Big Thunder Mountain one more time, and after a LOT of obsessive refreshing I managed to snag a final FastPass. We rode, and was awesome. Then it was time: time to head back to the resort. I stalled in the only way I could think of: with a PhotoPass photographer on Main Street, in front of the castle, after the classic fashion. I'm going to save these photos for their own post too, but this time because they were actually really awesome. Our photographer was really good! And then I trailed Pat, sulky, out of the park and onto a bus back to Riverside. This turned out to be the Crying Bus. I guess 4pm is about when the kids start to miss their naps, because half the busload was wailing. We were headed to the South Depot, but we got off at North and walked because yikes. 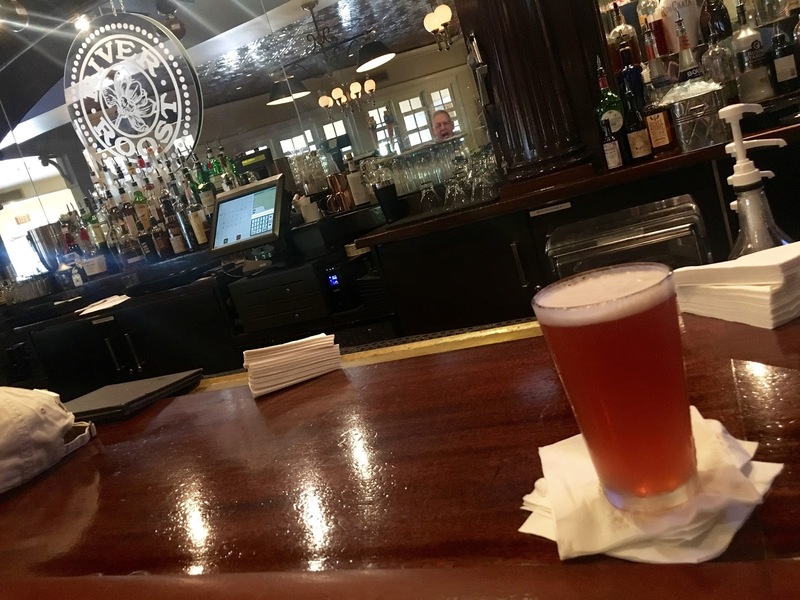 One more spin through the gift shop, one more round of drinks at River Roost, and it was over. The Magical Express took us away. ... Except it didn't quite, because first we stopped at Fort Wilderness and THEN WE STOPPED AT BAY LAKE AND I COULD SEE THE FREAKING CASTLE AND SPACE MOUNTAIN. SO MEAN. I may have cried when we finally left for the airport. And by "may have" I mean I totally did. Thus ended our trip. It was awesome and I have already started lobbying Pat to go back, because duh. Thanks to all who ploughed through this report - I loved writing it! It's not quite over yet, either - stick around for a bunch of food reviews, some silly and not-so-silly photo shoots, and some parting thoughts. Can't wait to see those silly photos! And one of my struggles with the new FP system is remembering what I booked when I did it so far ahead of time. I mean I know I can just check the app but even then I forget lol. I have no idea how I blanked on that - sometimes you just can't trust your own brain!